When I Instagrammed this pic, a few of you asked about my sparkly shoes. They are the Brochet flat by Enzo Angiolini. I bought mine a few months ago, but Lord & Taylor still has a few pairs (albeit in limited sizes). L&T calls the color purple, however in person they are definitely closer to pink. Here are two views to make that point. 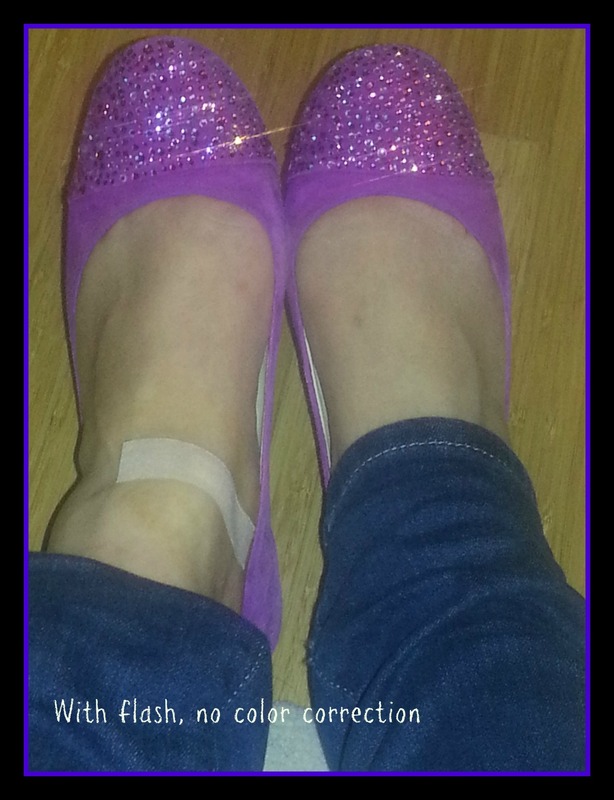 Like most flats, these don’t offer much, if any, arch support. When I’m not too lazy, I pop in some inserts from Good Feet. If you shop online at L&T today (Saturday, October 27) you can receive 25% off with the promo code ONEDAY. Shipping is also free. Exceptions apply. This entry was posted in Chick stuff, Style and tagged Angiolini, Brochet, discount, Enzo, flats, Good Feet, Lord & Taylor, pink, promo code, sale, shoes, shopping, Style on October 27, 2012 by onechicklette. To set the scene, have this song playing while you read my sad post. The date was May 31. I broke my ankle. 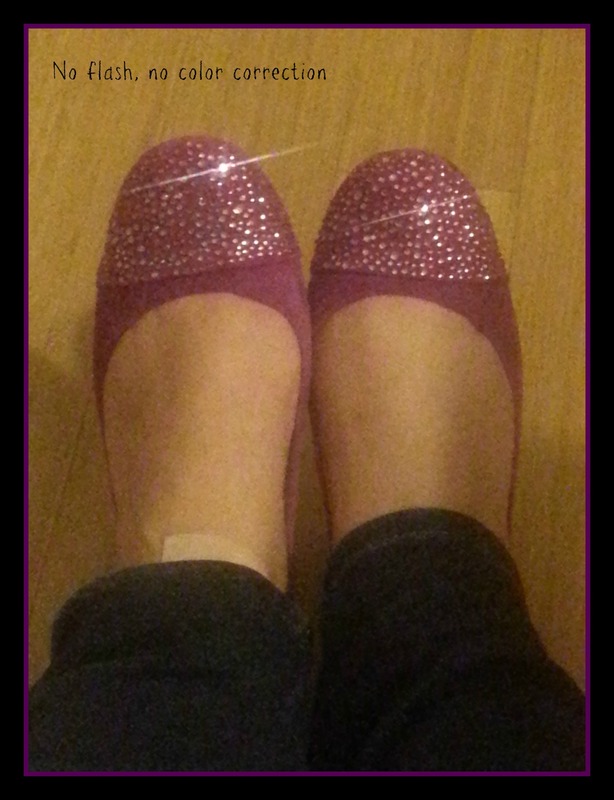 It was also the day when I last wore anything resembling cute shoes. Since then, I have sported Das Boot, two different pairs of Chucks, one bright pink pair of Pumas and a sorry-looking pair of Bandolino flats which are barely hanging on. Every few days, I duck into my closet and pull out shoes to try on. I do so hoping that my ankle will tolerate some stylistic improvement. I have at least one hundred pairs of shoes and boots, all of which stare at me every morning as I get ready for work. At this point, even my comfy but vaguely geriatric Campers would be an upgrade. When I’m done sobbing and feeling mad, I plan to ask @possessionista for ideas. This entry was posted in Chick stuff, Style and tagged 6pm.com, ankle, fashion, flats, heels, shoes, shopping, Style, wedges on August 31, 2012 by onechicklette.